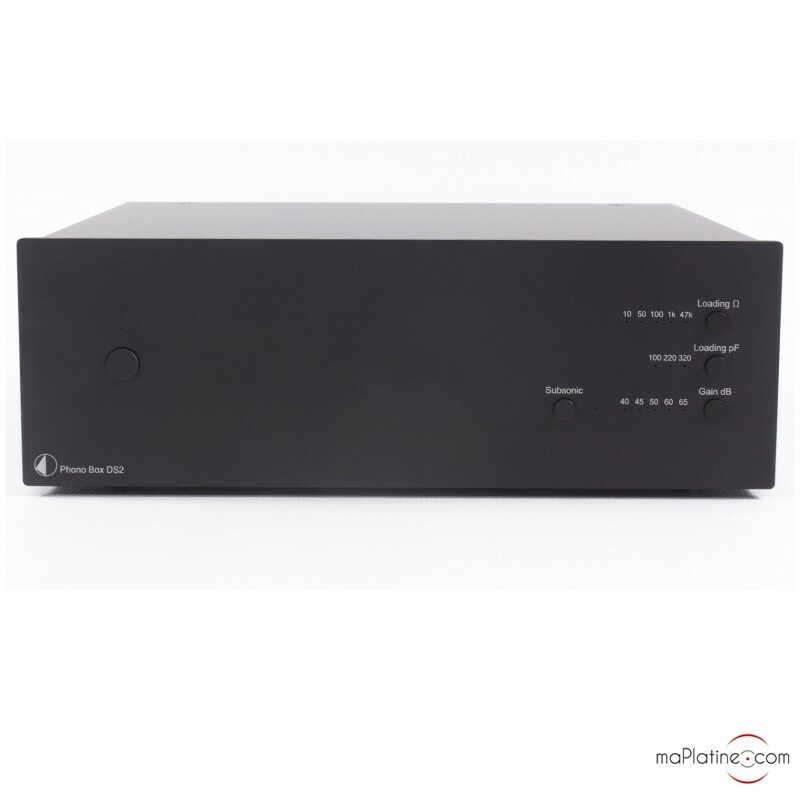 The Pro-Ject Phono Box DS2 phono preamplifier is the replacement of the Phono Box DS. 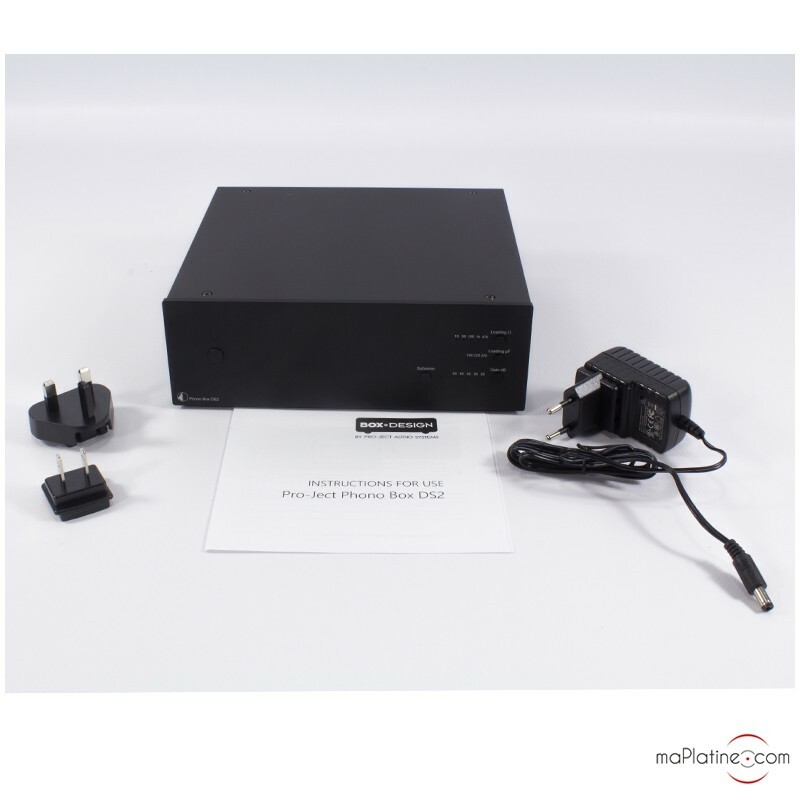 The Pro-Ject Phono Box DS2 phono preamplifier is easily recognizable because it does not have the same case as its predecessor but instead the same case as the RS range! We therefore have a magnificent phono preamplifier with a case in aluminium. 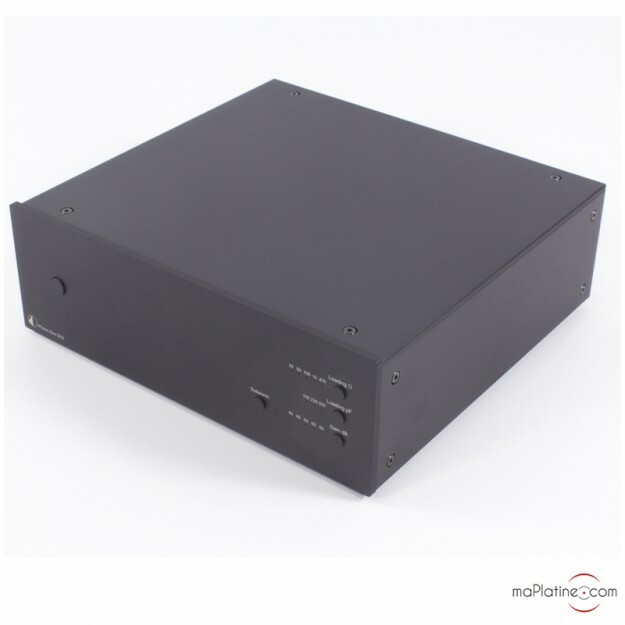 It is made out of a metal and aluminium sandwich construction which efficiently protects the circuits against electromagnetic disturbances and vibrations. 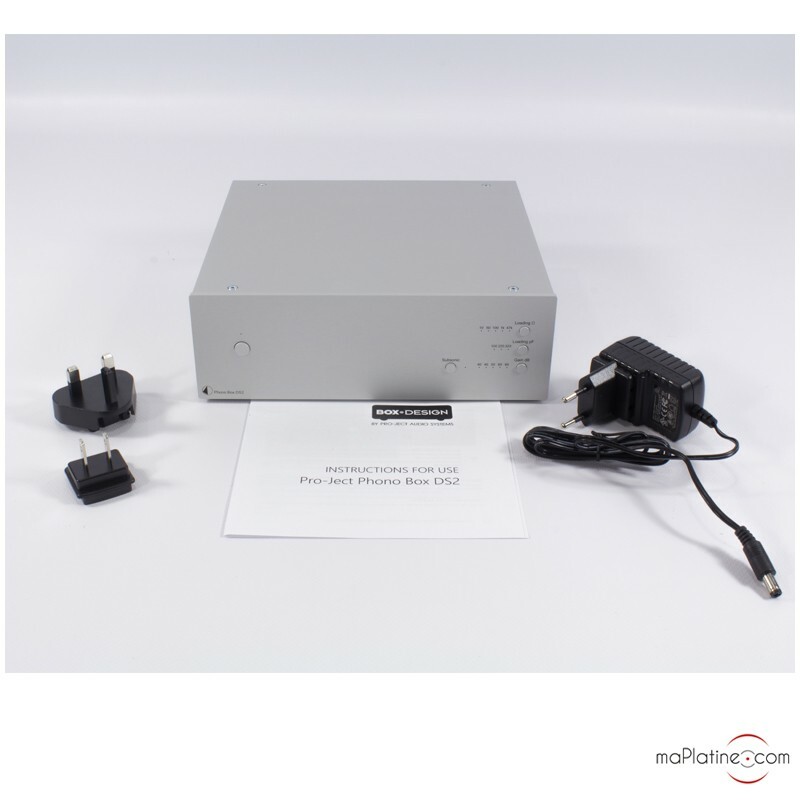 In the inside of the Pro-Ject Phono Box DS2 phono preamplifier there is a double mono circuit. Each channel has a very precise and linear RIAA equalization. 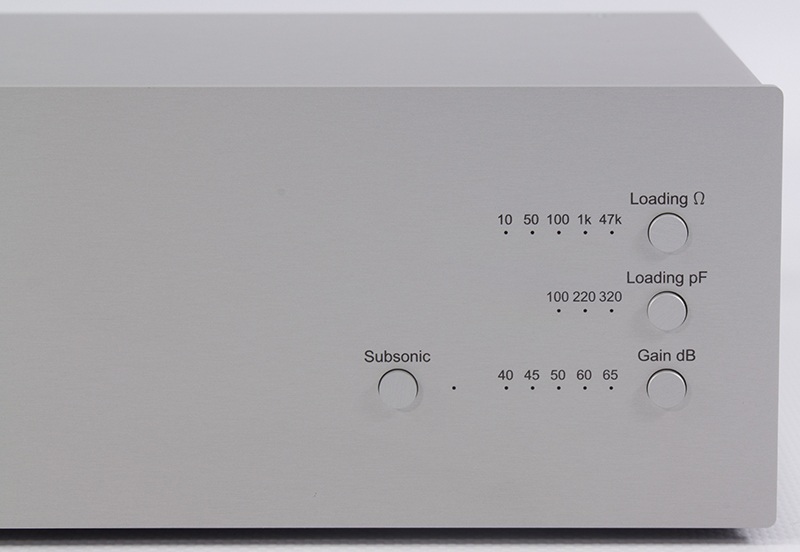 The components were chosen for their low noise level and low distortion. 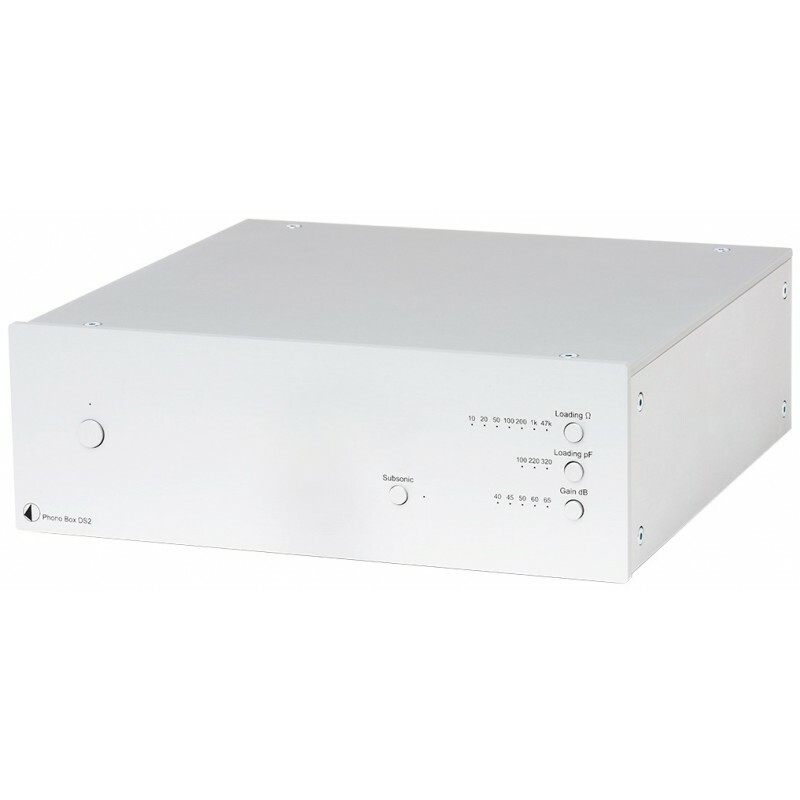 The front panel includes various mini push buttons which enable multiple adjustments. 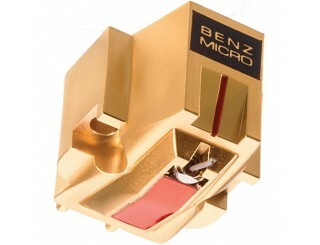 It is of course compatible with moving magnets (MM) cartridges and moving coil (MC) cartridges. 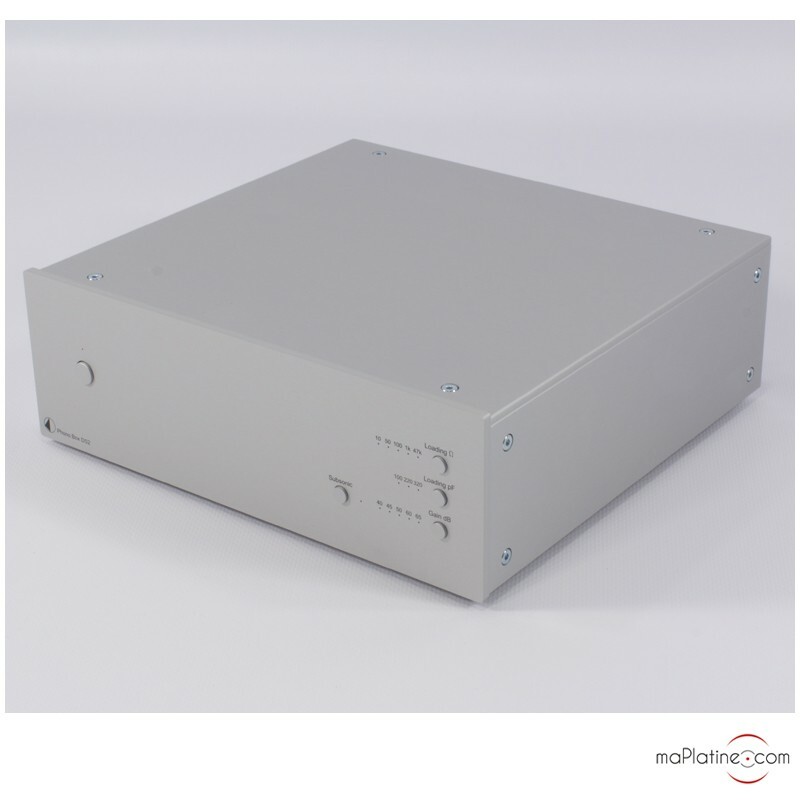 It is possible to easily adjust the load resistance (10, 50, 100, 1k et 47 kohms) as well as the load capacitance. 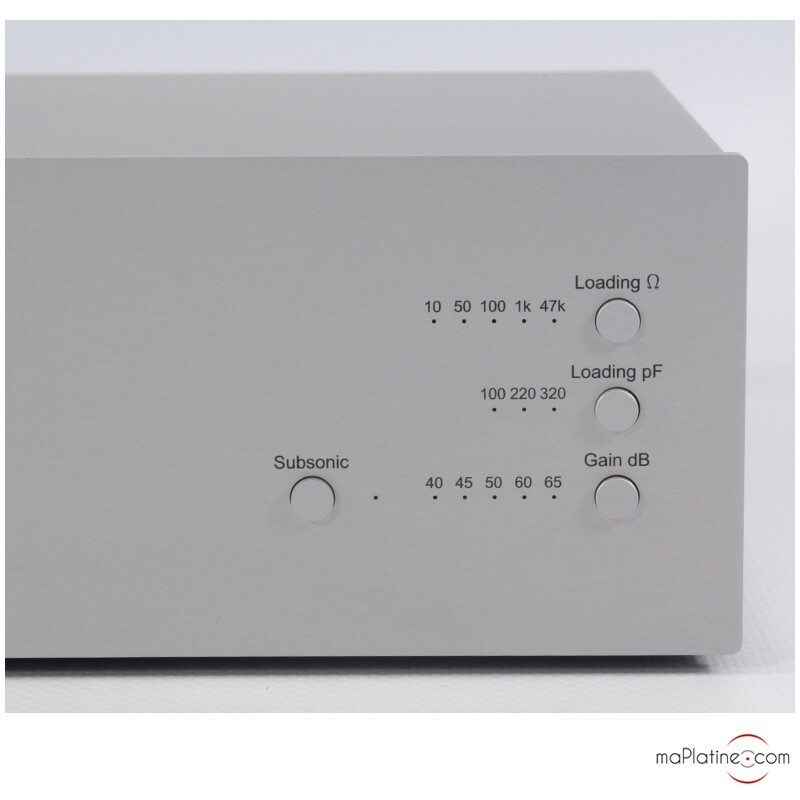 Careful, the load capacitance at 0 is 47pF! You will therefore have to add this value to the written numbers on the front panel, either 47 pF, 147 pF, 267 pF or 367 pF. 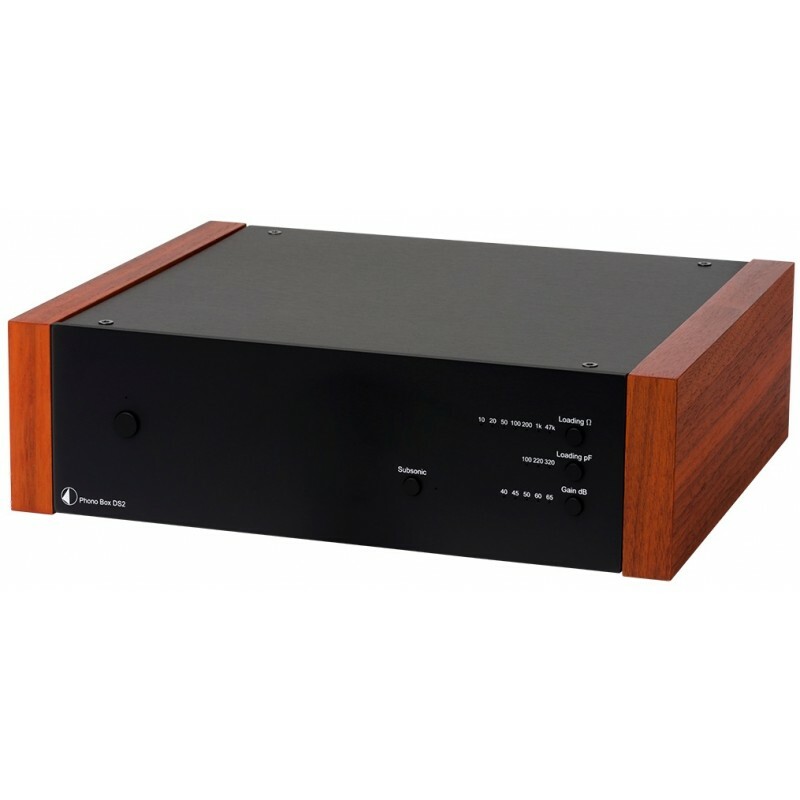 The Pro-Ject Phono Box DS2 phono preamplifier also makes it possible to adjust the gain with values which will enable the combination with all MM cartridges and High Output MC cartridges and (almost) all Low Output MC cartridges (40, 45, 50, 60 et 65 dB). 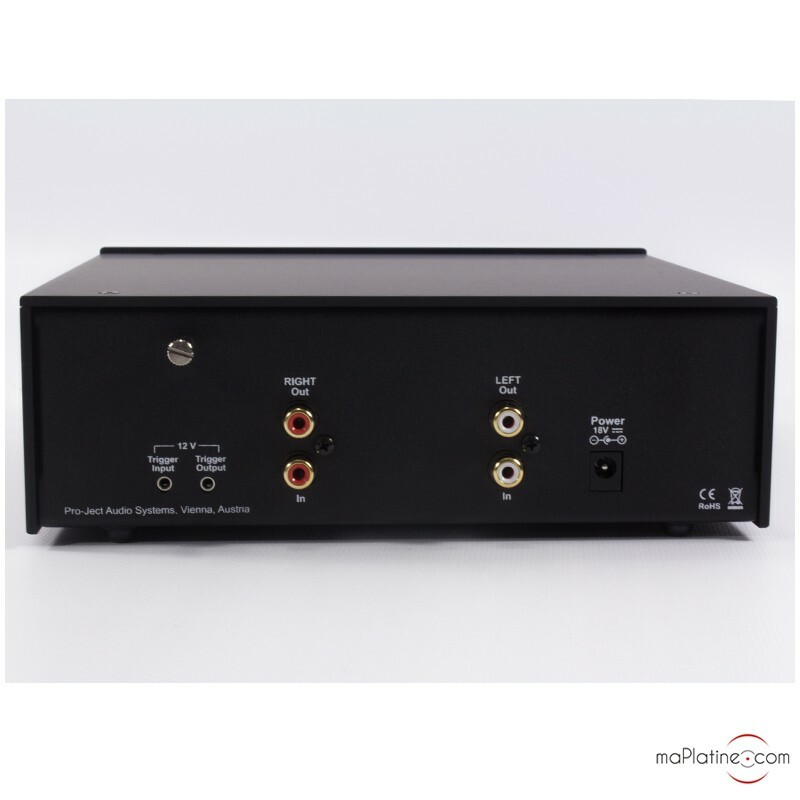 On the back of the Pro-Ject Phono Box DS2 phono preamplifier there is a set of RCA inputs as well as a knob for the connection of the mass for the vinyl turntable. 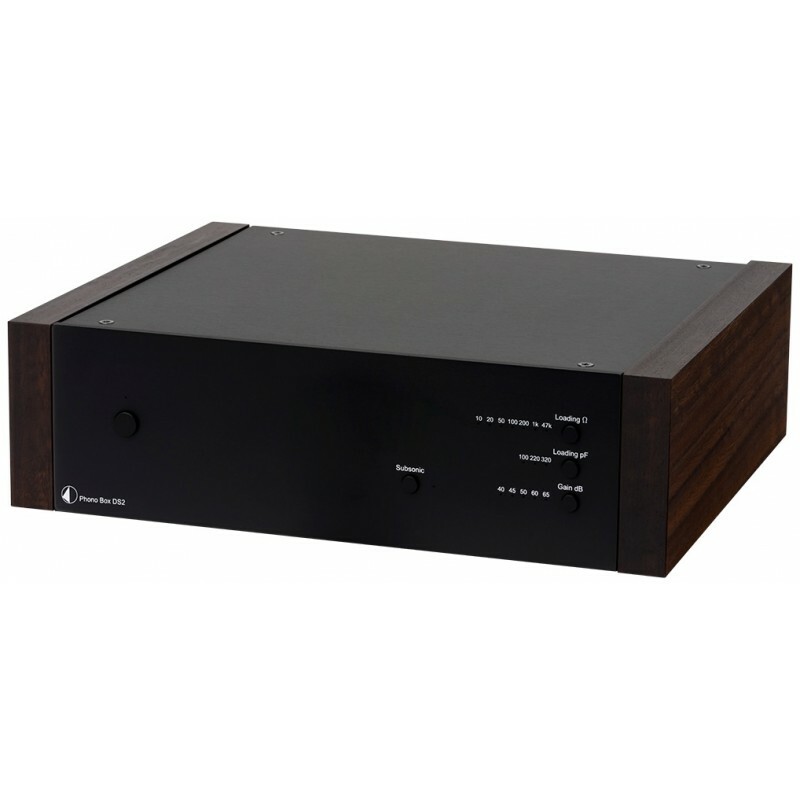 There is also a set of RCA outputs to connect the phono stage to the Aux input of your amplifier. Given the price of this Pro-Ject phono preamplifier, it is necessary to combine it with a MM cartridge between 200 and 700 euros or a MC cartridge around 700 euros. 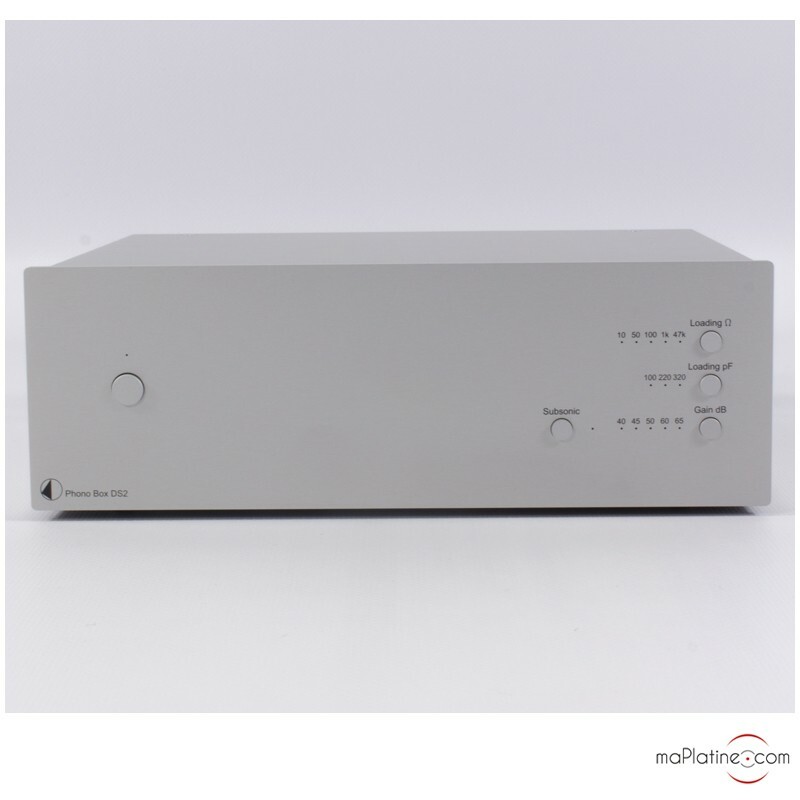 The reason I am saying this is because this Pro-Ject Phono Box DS2 phono preamplifier is very efficient and it is tempting to combine it with very (very) high end phono cartridges. However, we were reasonable. 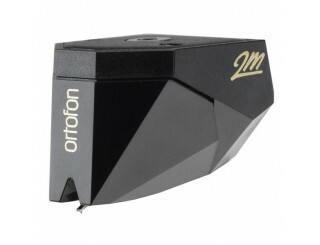 We listened to this phono preamplifier with an Ortofon 2M Black MM cartridge and a Benz Micro MC Gold cartridge. As always with Pro-Ject, the restitution is precise, detailed, and dynamic. The timbers are beautiful and accurate. 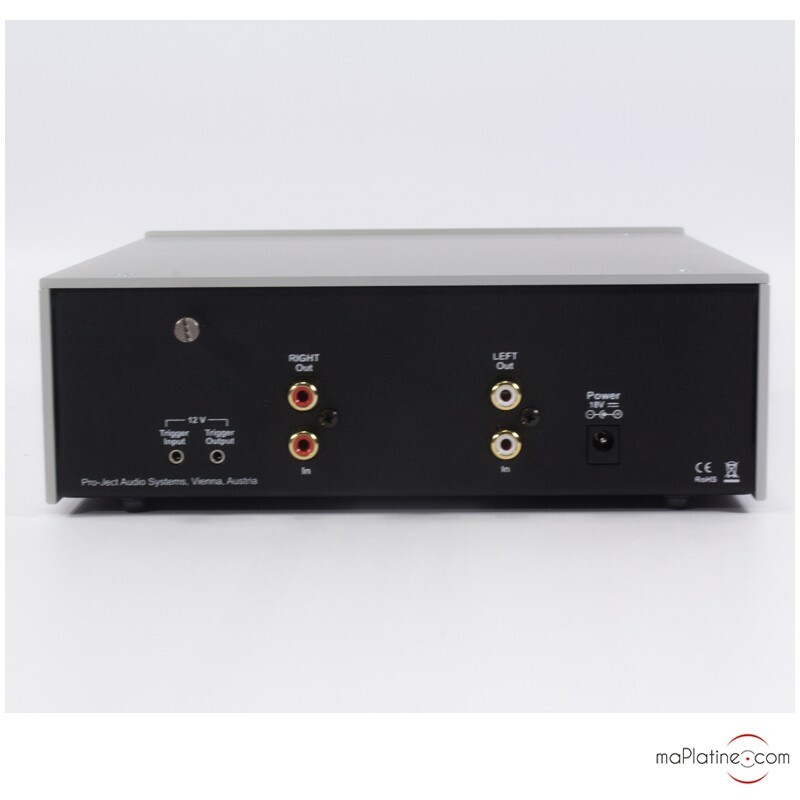 They don’t have the same matter as the Pro-Ject Tube Box DS2 Phono Preamplifier but they don’t show either dryness. There is a low and informative sound. The band width seems more linear than the older version. The treble is softer and has more nuances. The soundstage is very precise and realistic. The dynamics are excellent and stay convincing on modern or symphonic music. 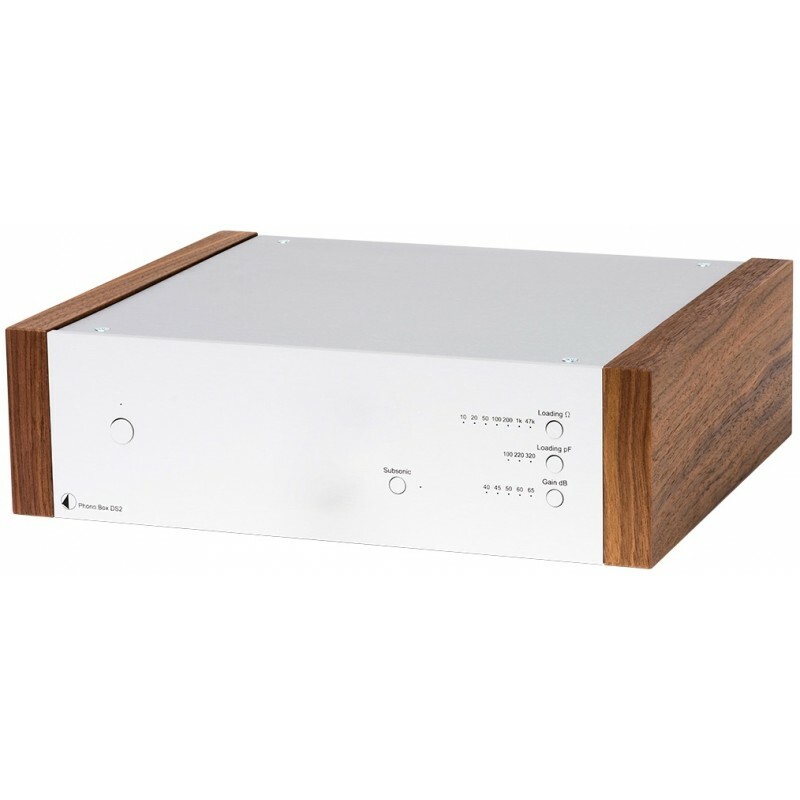 With this Pro-Ject Phono Box DS2 phono preamplifier, the Austrian brand offers an efficient and musical phono stage. 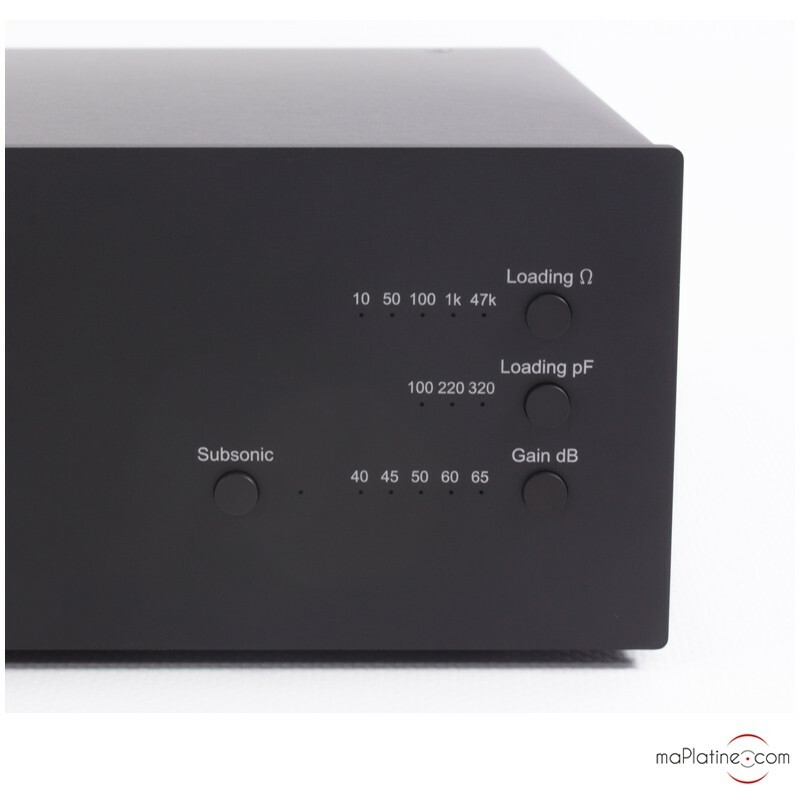 It has numerous available configurations which enable it to easily and precisely adapt to 95% of the phono cartridges on the market. This criteria for us is nonnegotiable. 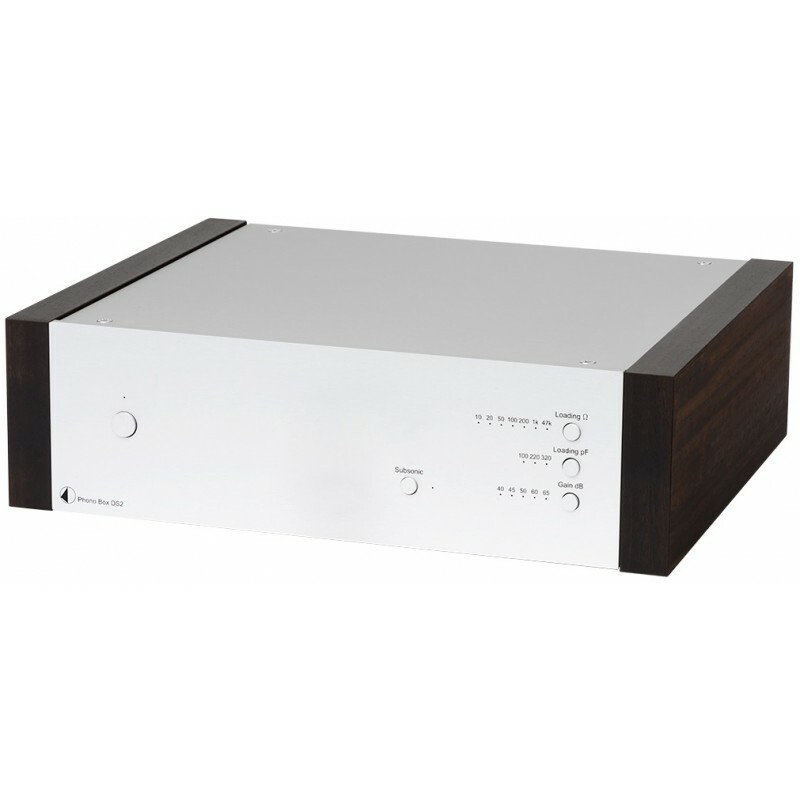 In addition, in terms of combination with an amplifier of vinyl turntable it is versatile due to its neutrality.